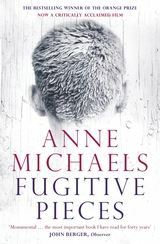 A novel about the children of the Holocaust, either survivors or children of survivors, Fugitive Pieces is a thoughtful, intellectual and stylistically rich novel built upon the necessity and pain of memory. The main bulk of the narrative is about Jacob who witnessed his parents’ death at the hands of the Nazis and got away before he could discover what happened to his sister, Bella. He was found hiding in a bog by a Greek geologist, Athos, who smuggles Jacob into Greece hidden beneath his clothes. Athos gives Jacob all the love and learning any child could want. He is gentle, kind, loving and has an understanding of what it means to suffer tragic loss. All of this I found deeply compelling. It was Jacob’s later life and the latter part of the narrative which is taken over by Ben, a child of Holocaust survivors keen to help find Jacob’s diaries in Greece, that I found harder to engage with. Not because there was any less examination of identity and memory, of carrying the unspoken and unlived in our present bodies, but because of the novel’s exploration of sexual and romantic journeys. Jacob, a troubled translator and poet, takes a second much younger wife and finds peace in her forgetting the presence of her limbs. Ben writes about his wife and his lover, focusing on physicality as if it will save him from drowning in his own misery. Suddenly I found myself walking into the pages of a different sort of novel, one which my younger self might have responded to better. The exploration of sexuality and romantic love, for me, lacked the subtlety of the earlier novel, felt too heady with sentiment and left me feeling frustrated. A hard thing to feel reading a novel about the smiling face of fascism and the ease with which we can slip back into a society where the other is dehumanised for political gain (hard not to think of the way we – not just Trump’s America – treat refugees); a novel about the importance of remembering the past. Yes, bodies are important, our thoughts and memories live within our organs, and yes, romantic love is a powerful life affirming force, but somehow the writing of these truths felt verbose in a way that Ben’s description of his father weeping as he ate, or Jacob’s description of feeling Bella’s ghost enter his body and live within him, or even the love Athos has for Jacob, don’t. Regardless of this quibble of mine, Fugitive Pieces lives up to its hype. It is a significant work. Bella loved Beethoven’s fugues and Jacob and Ben could be seen as two voices speaking against and in imitation of each other. Just as the novel could be said to be about a collective fugue state in which we attempt to retrieve the memories and identities of the dead in order to refind ourselves. And indeed, all survivors or surviving diaries and correspondence can be said to be fugitives. This kind of play on words and meaning runs throughout, challenging the reader to think beyond the plot into the story of their own lives within the world. Next week I’ll be reviewing Lucia by Alex Pheby.